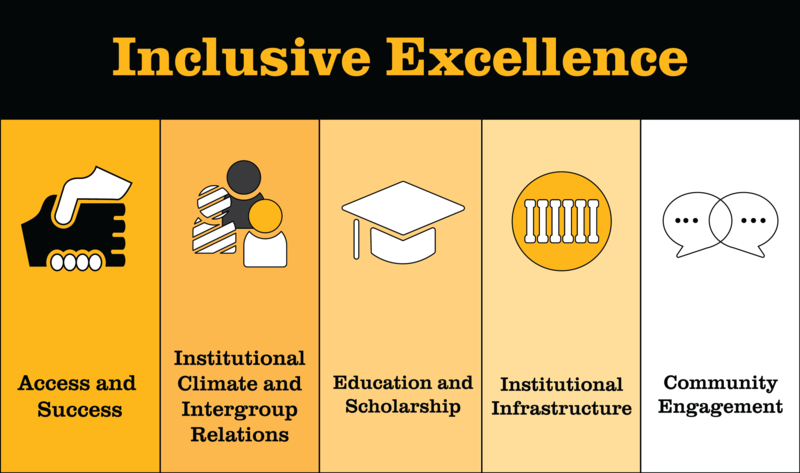 The Inclusive Excellence Framework reaffirms the University of Missouri’s commitment to growing and sustaining a diverse and inclusive learning, living, and working environment. The university strives to be a 21st century learning community defined by excellence through the affirmation of differences in the composition of its leadership, faculty, staff, and students; the configuration of its policies, procedures, organizational structures, curricula, and co-curricular programs; and the fabric of its interpersonal relationships. This diversity framework expresses a plan for enacting the university’s larger mission and for its values. Diversity: The various mix or combinations of human differences (e.g., personality, learning styles, and life experiences) and group/social differences (e.g., race/ethnicity, class, gender/gender identity, sexual orientation, country of origin, and ability as well as cultural, political, religious, or other affiliations) that can be engaged in the service of learning and working together. Inclusion: The active, intentional, and ongoing engagement with diversity — in people, in the curriculum, in the co-curriculum, and in communities (intellectual, social, cultural, geographical) with which individuals might connect — in ways that increase one’s awareness, content knowledge, cognitive sophistication, and emphatic understanding of the complex ways individuals interact with and within systems and institutions. Equity: The creation of opportunities for historically underrepresented populations to have equal access and equitable opportunity to participate in educational programs designed to reduce the academic/opportunity gap in student success and completion. To advance equity is to allocate resources, programs, and opportunities to staff, faculty, and students to address historical imbalances. Goal: Achieve a more diverse and inclusive undergraduate, graduate and professional student body, faculty and staff. This dimension refers to the objectives and strategies used to increase or maintain compositional diversity among the university’s constituent groups and includes activities related to recruitment and retention of our students, faculty and staff. Goal: Create and sustain an organizational environment that acknowledges and celebrates diversity and employs inclusive practices throughout its daily operations. This dimension refers to the objectives and strategies that enable the institution to create a climate that is supportive and respectful and that values differing perspectives and experiences. Goal: Engage students, faculty, staff, alumni and volunteers in learning varied perspectives of domestic and international diversity, inclusion, equity and social justice. We accomplish excellence in education and scholarship by offering courses, creating learning and creative opportunities and designing curricula with attention to inclusion. Targeted professional development activities directed to improving the multicultural competencies of faculty and staff will contribute to a learning and research environment where innovation and creativity thrive. Goal: Create and sustain an institutional infrastructure that effectively supports progress in achieving diversity goals in the University Strategic Plan. Institutional infrastructure refers to the policies, resources, organizational structures, and the use of metrics and other evidence to drive intentional decision making around diversity, equity and inclusion. 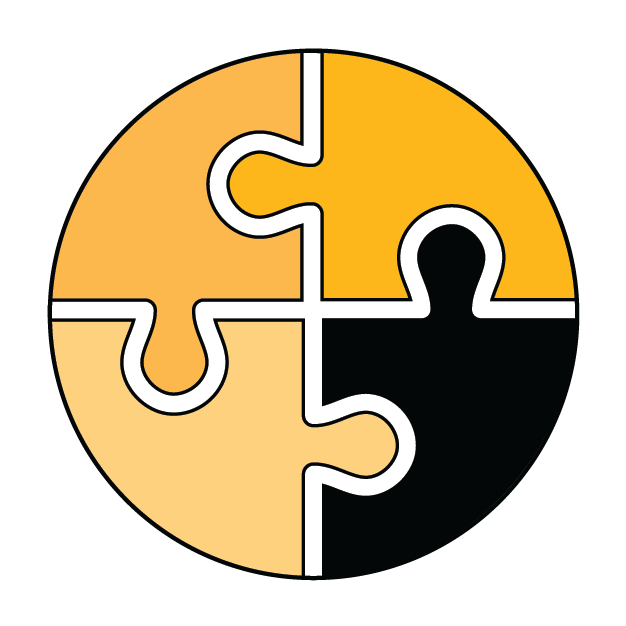 Goal: Leverage MU’’s mission as an AAU land-grant institution to improve outcomes and reduce disparities for historically underrepresented and underserved populations in Columbia and surrounding communities, Missouri and beyond. MU is committed to partnering with our communities, which reflects and complements our historic engagement through MU Extension with targeted partnerships to create a community that pursues excellence by enacting inclusion and equity.